A mysterious drifter lures two boys into uncovering the secrets of a sleepy southern town. | Growing up and seeing things in a different light. This was a good coming of age/growing up and life changing type film but more in depth about what and how the changes came about. The odd stranger that comes to the small town gives the boys a new way to look at people and things. He guides them. The way the boys perceive the town and how the stranger does also changes the town. It comes full circle for one of the boys as he loses part of his childlike hope and youthfulness in a way but is able to get it back when he comes to understand the things that occurred during that time about that particular summer and small town life.The time period was transcendent but it worked.The story was great and could have happened in any time period.The Cinematography was great and it was shot in 35mm film.The look was marvelous. It was nice that it was not all digital like so many movies. The area they filmed in had a great look and feel. It was a very interesting movie and a bit twilight zone like but not overly.I hope this breaks out of the Indie roll as it was an outstanding movie. 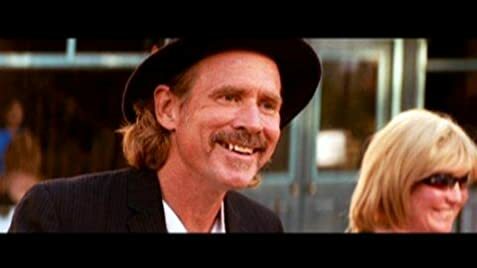 Mark Freiburger mentions (at 03:55 in the DVD featurette) that within two weeks of his graduation from North Carolina School of the Arts he had moved to Edenton to begin shooting Dog Days of Summer (2007). After shooting in the summer, the production took a hiatus (Devon Gearhart was engaged in the shooting for Canvas (2006) in October and November, 2005) and shot the scenes with the adult Phillip Walden (a.k.a. Phil Walden) in winter. The running shoes out of place on the hardwood floor that Jackson's dad calls him out on (11:15 to 11:30) were not the black and white ones Jackson was wearing when he came home (09:36). DreadVision Goes to the Dogs for July!